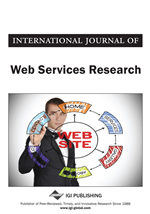 The number of web services increased exponentially in the past decade. Identifying a set of best candidates from vast services is the first step of composite service recommendation. Much of the previous work focused on the accuracy and efficiency in service matchmaking and optimization. Little attention was paid to the logs of web service execution, which contain diverse information such as service functionality, QoS record, execution order, etc. In this paper, we present how we apply Bayesian approach in analyzing service execution logs and then recommend an optimized service sequence based on the original service sequence. Compared with the existing methods, the approach has two main advantages: first, the resulting service sequences are more robust and compatible; second, the result has higher (both explicit and implicit) quality. The authors also propose three algorithms that are based on the recommendation approach. At the end, the authors show the experiment results to illustrate how this work helps facilitate composite service recommendation. Service-oriented computing (SOC) paradigm and its realization through standardized web service technologies provide a promising solution for the seamless integration of single-function applications to create new large-grained and value-added services. In recent years, SOC, especially service composition, was applied in a lot of domains, e.g., workflow management, finances, e-Business, e-Science, etc. The growing number of web services brings both opportunities and challenges to SOC. Similar to service composition & service discovery; service recommendation is also widely applied in industry and academic circle. To the best of our knowledge, many solutions have been proposed to recommend services by using Collaborative Filtering based approach (Zheng, Ma, Lyu, & King, 2011; Chen, Wu, Deng, & Li, 2010), Context-aware approach (Liu, Meng, & Chen, 2008; Liu, Lecue, Mehandjiev, & Xu, 2010), Graph-based approach (Wang & Zeng, 2009) and so on. In the domain of service recommendation, identifying and composing a set of atomic services to recommend an optimized composite service that user may be interested in based on the original composite services that user has used, which we call Composite Service Oriented Recommendation (CSOR), attracts a lot of attention and is becoming a hot research topic. Figure 1 presents a conceptual overview of the Composite Service Oriented Recommendation. As shown in the Figure 1, the composite service is composed of several atomic services which achieve part functionality of the composite service. With the development of SOC, more and more services with kinds of functionalities appear in the service pool (e.g., Service Repository). Apparently, there are some services, which we call candidates, are similar or equal to the atomic services in the composite service. The goal of Composite Service Oriented Recommendation is to compose and recommend an optimized composite service that outperforms the original one by utilizing the services in service pool. Compatibility. Accurate service matchmaking is the most important element and it guarantees the atomic service replacement. Previous research makes use of the input/output and interfaces of services and proposes some semantic-based or adaptor-based approaches to handle this problem. Due to the limitation of semantic information, the performances of these solutions are not ideal. In addition, the robustness of the recommended composite service cannot be guaranteed by existing solutions. Quality. Current solutions about CSOR problem mostly use QoS (Quality of Service) as the metric to evaluate the performance of composite services. QoS contains many attributes, e.g., cost, response time, availability, and is presented as a set of numerical values. However there are some features (e.g., user preference) that can't be presented by numerical values, which we call implicit quality while QoS is explicit quality. Existing solutions to CSOR problem haven't taken implicit quality into consideration.